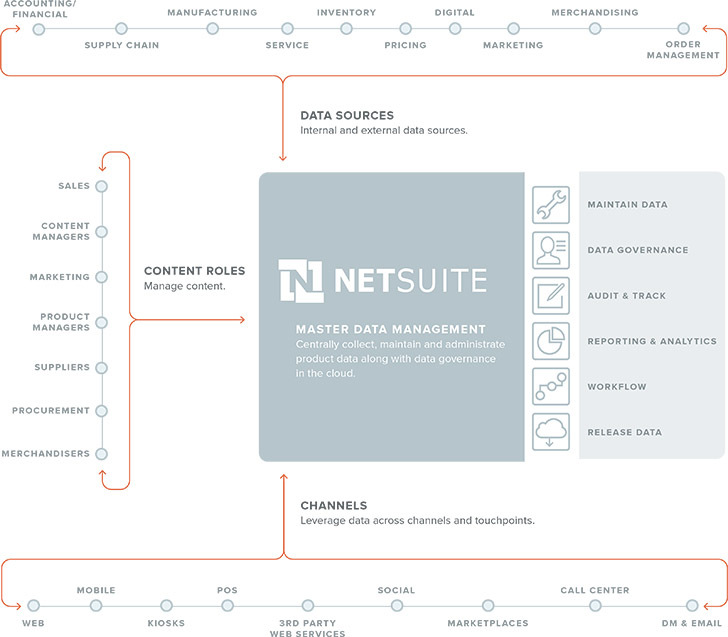 Consolidate and centrally control both structured and unstructured product information and attributes across all sales channels from one source of truth. 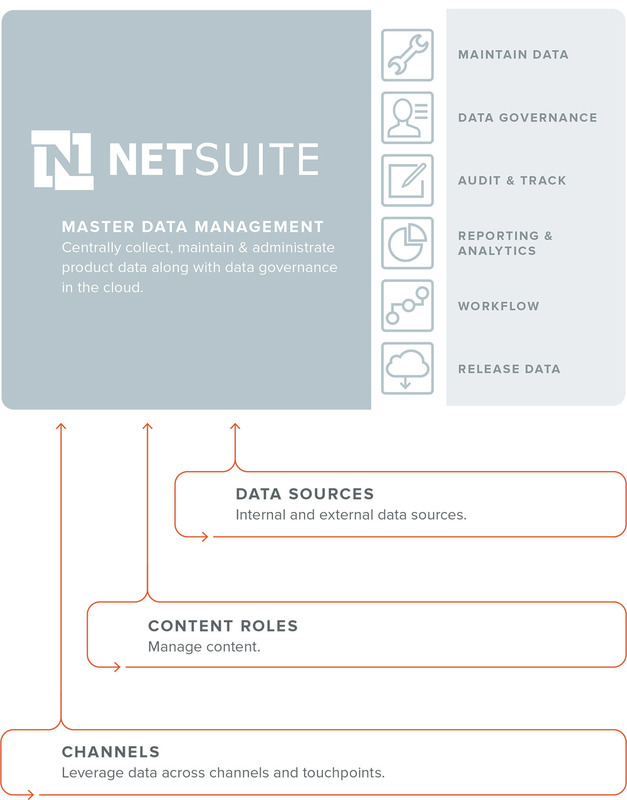 NetSuite combines product information across all systems and processes—rather than just gathering product data from siloed product information management (PIM) or product content management (PCM) systems. By leveraging product information in a uniform manner across all channels, you can rapidly and easily enhance customer experiences while improving the agility and efficiency of your company operations. Provide consistent, branded product information across all channels from a single source. 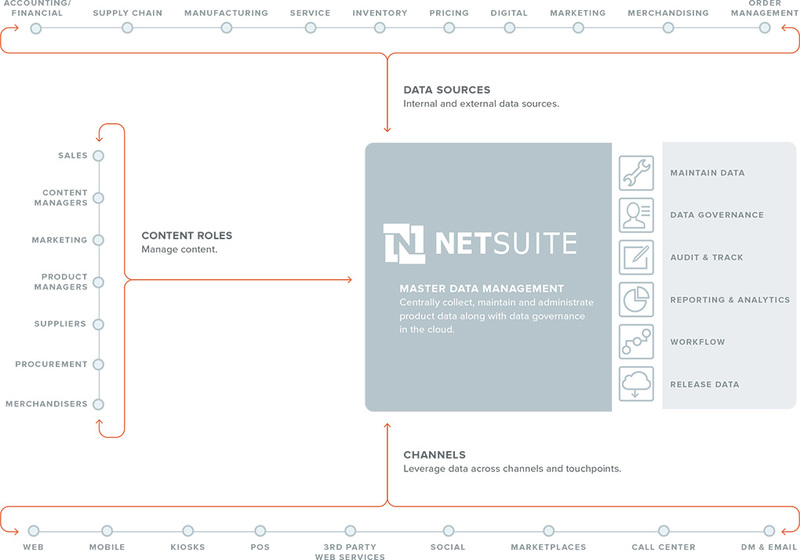 Centrally control product information and attributes across all channels. Manage product attributes, including categorisation, multi-currency pricing, promotion eligibility, languages, geography and marketing content in a streamlined workflow. Allow vendor and supplier management of product data to efficiently maintain up-to-date inventory, pricing, product content and offers. Support partner, affiliate, syndication and dealer/reseller portals and applications in one system protected by secure role-based access control.